How should we spread the gospel? It all depends on what you mean by ‘the gospel’. And a way of answering that would be to ask the question: why did God come in human form and rescue us from our sins? Why did Jesus shed his blood on the cross? What was the end goal? It was for us to be reconciled to Him. Relationship with him. That is our good news! The message we are trying to spread is the message of reconciliation with God. However, if your ‘gospel’ is just saving people from hell (a place of discomfort) and getting people to heaven (a place of comfort) then your evangelism will be driven by self-preservation, fear and avoidance. You will feel (maybe subconsciously) that it is a ‘work’ you feel you must do to feel as if you are doing ‘well’ at being a Christian. It won’t be a pleasant experience; it will be hard and difficult, like a heavy rock that you have to push up a hill. However, if your ‘gospel’ is enjoying a relationship with God as a dearly loved child, then your evangelism will simply be making God, your Father, known to others so they to can know and be known by Him too! And it will be driven by joy and overflowing love. It will feel unstoppable, like overflowing and bubbling champagne after the cork has been popped out. If you had a great relationship with a friend and wanted others to know that friend what would you do? You would tell them about the awesome character of your friend so that they become interested and can seek them out too. It’s logical. 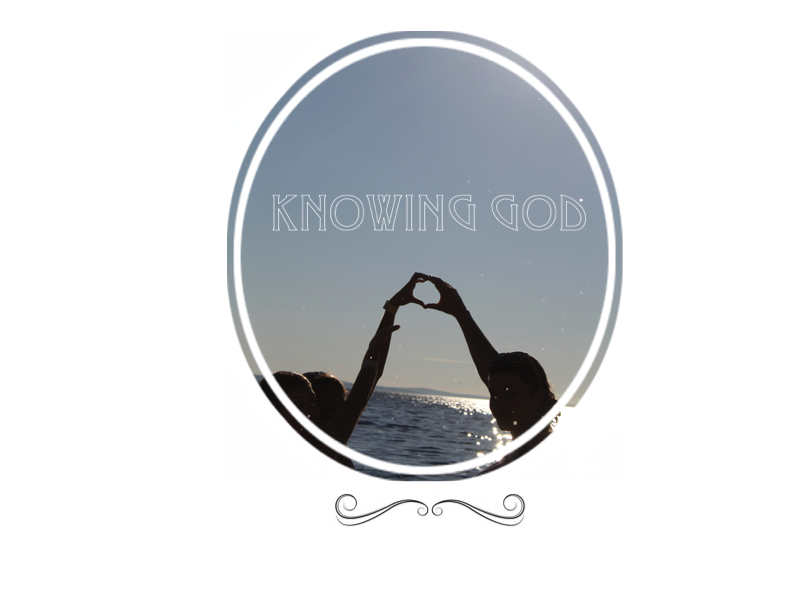 So the question arises: how do we show people our wonderful God? The answer is the same as the answer to every Sunday-school question ever: Jesus. He is God-incarnate, the God-man, ‘the radiance of Gods glory, the exact representation of his being’ (Hebrews 1:2). He himself said to his disciples, ‘If you really knew me, you would know my Father as well. From now on, you do known him and have seen him.’ (John 14:7). In Jesus we see the essence of God – his abundant grace and love, his perfection. Show people Jesus and you show people God the Father; you evangelize. Show them in Word – point them to the Jesus in the Bible, but also in deed. We must live as Jesus lived to show people God as he did. Because of his wondrous sacrifice we have been covered with his perfection and made children of God, as he is, and are living in the world, as he did. We have been made ‘co-heirs’ with Christ! This means that we should “be imitators of Christ therefore, as dearly loved children and live a life of love just as Christ loved us and gave himself up for us as a fragrant offering and sacrifice to God” (Ephesians 5:1-2), in order that God may be made known to people and he can be glorified. Praying for sanctification is therefore also a prayer for evangelism. Our mission then, is to do as Jesus did – to reflect the nature of the Father in our words and deed so that the Father can be glorified and others can be brought into a life-giving, all-satisfying relationship with Him. And if we know Him, we will bear fruit: ‘Remain in me and I will remain in you’ (John 15). We all know that we start to adopt the attributes and mannerisms of the people we are closest to and other people start to notice…how much more so will that be of God? Think about it this way, if we are not reflecting Gods character then who are we reflecting? There is nothing good apart from God. There is also no neutral ground. We are always reflecting something, so let it be God and not the enemy. Therefore, one definition of evangelism is: partaking of our salvation (a freely given relationship with him) and immersing ourselves in his love. It is not a work. If it starts to feel like a ‘work’ something is wrong in your motivation. It is a joy; merely enjoying the relationship we have been called into! And our desire to put ourselves in potentially scary or awkward situations for Him will be greater because our relationship with God will be more important than our relationship with man. Also, if it is a ‘work’ then we will not be evangelising effectively. We will be giving them a false gospel - not showing them that God is loving and so worthy of such joyful work, but instead showing that he demands duty and robotic slavishness. So, in terms of active evangelism, what does this mean? Well, take ‘first-contact evangelism’ e.g talking to a stranger about Christ – as the early apostles did, as Paul did to the crowds in Acts 17, to ‘all who happened to be there’ (v 17). This won’t be that often for most of us but people, strangers, those around you all need to hear about Jesus in order to believe in Him. They need to see Jesus, to be introduced, in order to know God. Knowing that our gospel is a relationship changes everything, but especially how we approach this active evangelism – telling people about this good news. If our ‘good news’ is just us being saved from hell, then we’ll be telling people all about how they can do this – repentance and trust. (As if repentance and trust are the works by which we can achieve ‘it’ - comfort - for ourselves) It will be an evangelism driven by self-preservation and avoidance rather than joy and pleasure. And although it has all the right words and sounds about right, it is far from the truth. But, if our ‘good news’ is knowing God, then our evangelism is making him known: introducing people to the character of God so they can know Him too. This is definitely not trying to shove a formula down their throat: repent + believe = heaven, but rather a persuasive, explanative proclamation: ‘we have good news of great joy – today a saviour has been born!’ (Luke). It means, engaging with the person individually, as Jesus does with us - listening to them. Figuring out their obstacles to the gospel, their barriers to God and showing them, in the most gentle, loving and God-like way possible that Jesus is 'the way, truth and the life' (John 14:6). It means, lovingly making them aware of their inability to come to God, their sin in rejecting Him as King over their hearts, and revealing that a relationship with him is the most important, wonderful and all-satisfying thing. Unveiling Jesus as the way in to this perfect relationship, showing Gods grace and wonderful self-sacrificial love. It means emulating Christ, showing God as God! What an honour. So, we have been called and given the privilege, as his children, to initiate an introduction. God himself will do the rest. We are humanities’ God-appointed match-makers - setting up the lost with the One who finds, the blind with the One who gives sight, bringing together the wanderer and the welcomer, the sinner and the sinless. Often, no one mentions the joy that comes from evangelising. Evangelising is only an indulgence into the relationship we have with God. It is submerging yourself in it in order to offer it out to others. As such, there is incredible fulfilment and JOY to be had in doing it! You are relying on God with your whole being, living as you’re meant to live! Praise the Lord that he has chosen to use us in this process!